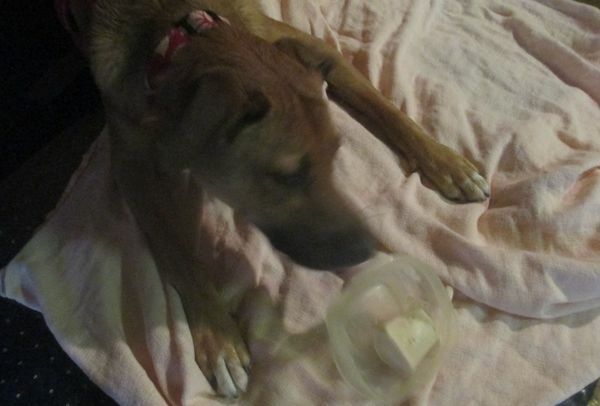 I froze some peanut butter balls for Sadie today and she likes them. Did she like it or did she miss the "tasty" paper cup? Cool...might have to try that...thank you for recipe. I might give that a go tomorrow, I don't know if Roly will eat . . . . but probably would if he doesn't lol. Oh good lord... The queen is eating frosty paws??? Why am I not surprised?